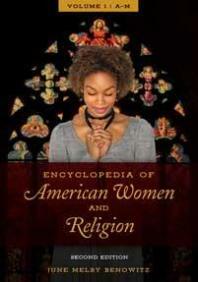 This LibGuide is intended to provide introductory resources for students interested in the academic study of feminist theology; it also provides some internet sources and academic journals of feminism in general. The purpose of this page is to provide a starting point for further study. These resources are only some of what the DTL offers; to search the DTL's full catalog please use the search bar above. "A selective, annotated, highly acclaimed listing of web sites containing resources and information about women's studies / women's issues, with an emphasis on sites of particular use to an academic women's studies program." "Feminism and Religion is an all-volunteer project that comes together through the collaborative work of a diverse community of thinkers, writers, activists. You are invited to take part and bring your own contribution to this work at the intersection of feminism and religion....We establish this blog in the hope that feminist scholars of religion — and all who are interested in these issues — will use this forum to share their ideas, insights, and experiences, so that this community of thinkers will be nurtured as we explore diverse and new directions." "Diotima serves as an interdisciplinary resource for anyone interested in patterns of gender around the ancient Mediterranean and as a forum for collaboration among instructors who teach courses about women and gender in the ancient world. This site includes course materials, the beginnings of a systematic and searchable bibliography, and links to many on-line resources, including articles, book reviews, databases, and images. Ross Scaife and Suzanne Bonefas launched this project in early 1995; since that time it has been developed mainly by Scaife, but with help and contributions from many quarters." "A digital exploration of women's impact on the economic life of the United States between 1800 and the Great Depression. Working conditions, workplace regulations, home life, costs of living, commerce, recreation, health and hygiene, and social issues are among the issues documented in this online research collection from Harvard University." "A peer reviewed journal that aims to give a voice to the women of Britain and Ireland in matters of theology and religion but does not restrict itself to the work of feminist theologians and thinkers in these islands. 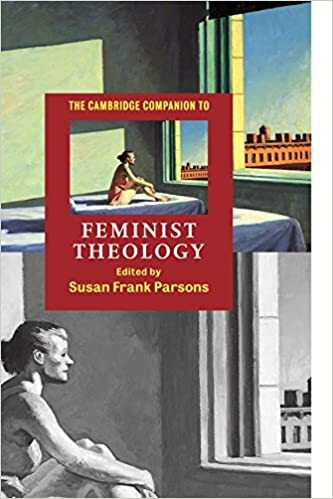 Feminist Theology, while academic in its orientation, is deliberately designed to be accessible to a wide range of readers, whether theologically trained or not." "The oldest interdisciplinary, inter-religious feminist academic journal in religious studies, is a channel for the publication of feminist scholarship in religion and a forum for discussion and dialogue among women and men of differing feminist perspectives. Its editors are committed to rigorous thinking and analysis in the service of the transformation of religious studies as a discipline and the feminist transformation of religious and cultural institutions." "Religion and Gender is the first online, peer reviewed, international and open access journal for the systematic study of gender and religion in an interdisciplinary perspective. The journal aims to explore the relation, confrontation and intersection of gender and religion, taking into account the multiple and changing manifestations of religion in diverse social and cultural contexts. It analyses and reflects critically on gender in its interpretative and imaginative dimensions and as a fundamental principle of social ordering. It seeks to investigate gender at the intersections of feminist, sexuality, queer, masculinity and diversity studies." "The only journal for scholarly research at the intersection of philosophy and women's studies, Hypatia is a leader in reclaiming the work of women philosophers and is indispensable for those interested in philosophy." "An international peer reviewed journal edited by a Collective based in the U.K. with support from an international group of Corresponding Editors. The journal was founded in 1979 with the objective of uniting "research and theory with political practice and contributing to the development of both." The journal remains committed to this objective and to the exploration and articulation of the socio-economic realities of women's lives. The aim is to promote materialist work which is informed by both socio-economic and cultural representational issues." 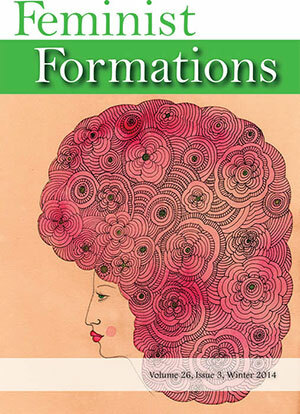 "Feminist Formations cultivates a forum where feminists from around the world articulate research, theory, activism, teaching, and learning, thereby showcasing new feminist formations. 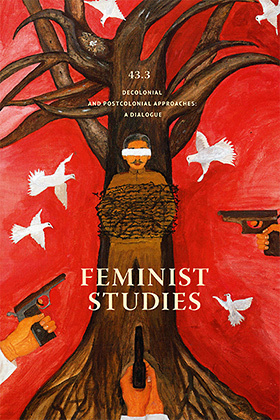 An interdisciplinary, peer-reviewed journal, we publish innovative work by scholars, activists, artists, poets, and practitioners in feminist, gender, and sexuality studies. Our subject matter includes national, global, and transnational feminist thought and practice; the cultural and social politics of genders and sexualities; and historical and contemporary studies of gendered experience. The journal values established and emerging lines of inquiry and methods that engage the complexities of gender as implicated in forms of power such as race, ethnicity, class, nation, migration, ability, and religion." "Since 1972, WSQ has been an interdisciplinary forum for the exchange of emerging perspectives on women, gender, and sexuality. Its thematic issues focus on such topics as Activisms, The Global and the Intimate, The Sexual Body, Trans-, Technologies, and Mother, combining psychoanalytic, legal, queer, cultural, technological, and historical work to present the most exciting new scholarship on ideas that engage popular and academic readers alike. In 2007, WSQ was awarded the Council of Editors of Learned Journals’ Phoenix Award." "Recognized as the leading international journal in women’s studies, Signs is at the forefront of new directions in feminist scholarship. The journal publishes pathbreaking articles, review essays, comparative perspectives, and retrospectives of interdisciplinary interest addressing gender, race, culture, class, nation, and sexuality. Special issue and section topics cover a broad range of geopolitical processes, conditions, and effects; cultural and social configurations; and scholarly and theoretical developments." Simone de Beauvoir’s masterwork is a powerful analysis of the Western notion of “woman,” and a groundbreaking exploration of inequality and otherness. This long-awaited new edition reinstates significant portions of the original French text that were cut in the first English translation. Vital and groundbreaking, Beauvoir’s pioneering and impressive text remains as pertinent today as it was sixty years ago, and will continue to provoke and inspire generations of men and women to come. Feminist Theology/Feminism LibGuide by Michele Buscher and revised by Christopher Crawford is licensed under a Creative Commons Attribution-NonCommercial-NoDerivatives 4.0 International License.